As Google continues to push the Chromecast on holiday shoppers, a new deal on the media-streaming device includes a 20 USD credit to the Google Play store. The credit can be used to download music, movies and apps and expires on January 31, 2015. If you have been waiting to buy the Chromecast, this might be the ideal time. The Google Play store deal also tacks on to a previous offer of two months of free Hulu Plus service plus a three-month free trial of the Google Play music streaming service. To cash in on the offers buy and activate your Chromecast before December 14, 2014 and receive a code for the Google Play store credit. 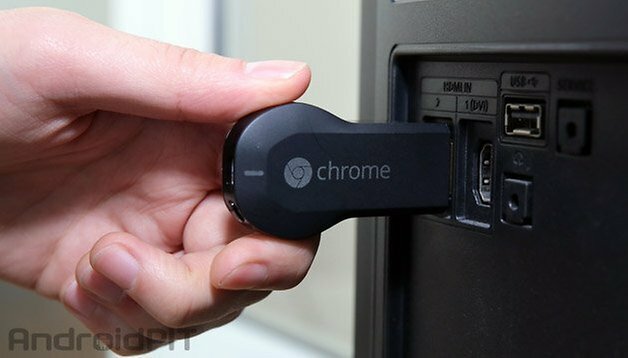 Black Friday shoppers are in luck as well: if you purchased the Chromecast after November 28, 2014, it looks like the offer is available as well. The Google Chromecast usually sells for 35 USD, but with retailers undercutting each other, Chromecasts can be found for slightly less. Walmart, Target, BestBuy, Staples and Amazon are all recognized Chromecast retailers, so check out their deals before buying through the Google Play store. check your device against Chromecast compatibility list, not all devices can cast the screen presently.